The Delta works are one of the most famous works in the world. The Netherlands is located more than half below sea level. For everyone’s safety, the Delta Works were built to prevent a repeat of the flood disaster in 1953. 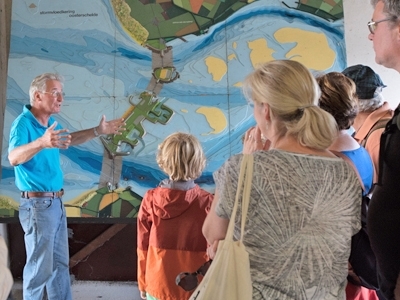 At Deltapark Neeltje Jans you can experience history again; from the flood to the construction of the Delta Works. Exhibitions, films, and exclusive, guided tour in and around the Storm Surge Barrier to give an impression of the tremendous force of the water. The Storm Surge Barrier is visited from all over the world because of its unique function. 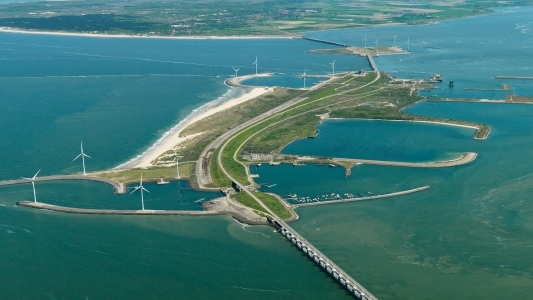 A guided tour in and around the pillars of the Storm Surge Barrier is possible. This exclusive tour is accompanied by a guide. The guide tells you about the creation of the Delta Works and allows you to have an up-close experience of the pillars of the Storm Surge Barrier. Since before the Disaster of ’53, there are plans for the closure of the estuaries. The flood disaster, however, accelerates the planning and implementation. In 1955 the Delta Plan is on the table. Following the Delta Plan, the main sea holes in the south-west of the Netherlands are dammed. 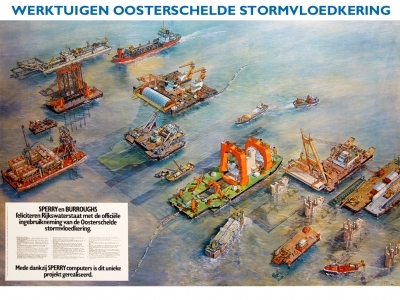 Only the open sea connections with Rotterdam and Antwerp must be maintained. In addition to increasing safety, an improvement in freshwater management is also an objective of the Delta Plan. In 1957 the Delta law is adopted by Parliament. The implementation is quickly done: the Delta Works have begun.